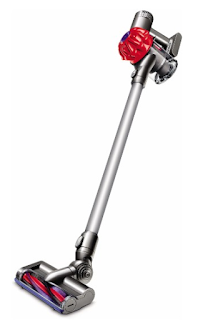 Today only, Best Buy offers the Dyson V6 Bagless Cordless Stick Vacuum in Red for $199.99 with free 2-day shipping. That's at least a $240 savings! It includes a combination tool, crevice tool, docking station, mini motorized tool, motorized cleaner head, and soft roller cleaner head. Deal ends today.